My partner produces his own beer for 6 months now. A lot of high-quality batches for sure, but also a better understanding of what makes a good craft beer! Last week, he has decided to experiment pumpkin spicy ale with one of his friends, and he came back home with a full bucket of spend grains with pumpkin pulp. 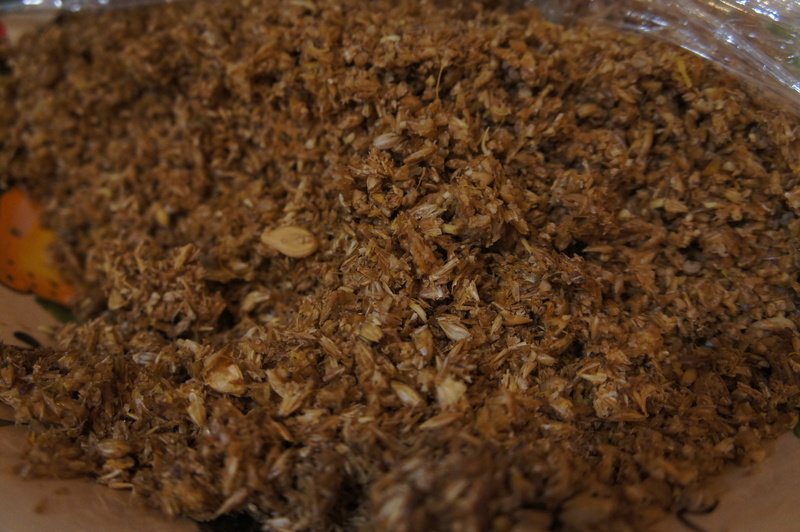 Spent grains are the leftover malt and adjuncts after the mash (the brewer’s term for the hot water steeping process which hydrates the barley, activates the malt enzymes, and converts the grain starches into fermentable sugars) has extracted most of the sugars, proteins, and nutrients. One major downside when doing beer is the sheer volume of leftover ingredients you need to deal with after the fact. What to do with this byproduct, this is the question. In the context of sustainable local food movement, people have put this interesting ingredient in a process of creative and innovative use. It can feed pigs, chickens and dogs also. It can be use to grow mushrooms and it composts like a dream. It can be burnt to create steam, which can power brewery’s operations. 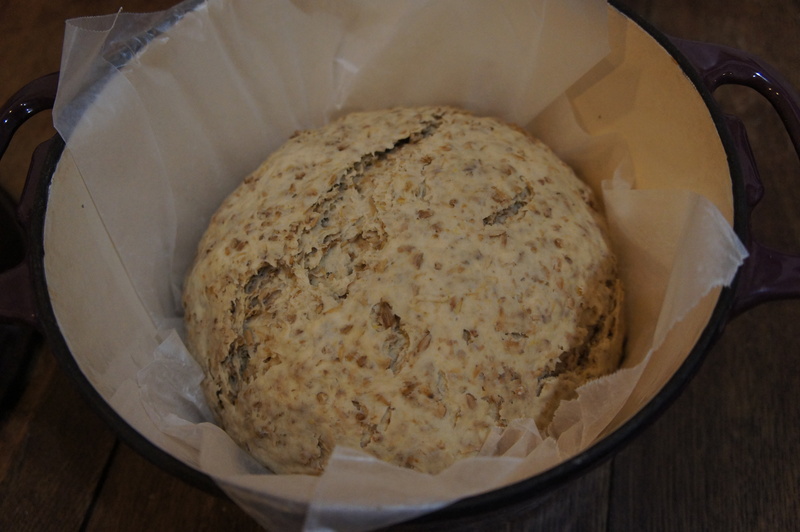 Others are using spent grains to make granola, cookies, sausages, breads and pizza dough. There are no limits to innovation and creative cooking! “What are we going to do with all this byproduct?” was the big question. A moment of panic in my small kitchen here in Toronto, we need a plan and some logistics! And two days after, the quasi totality was frozen in small bags or dehydrated and stored in containers. Cooking! Yes, we did. We have heard so much about this waste product, we needed to try right away. Waffle came first. Quite messy! We used too much spent grains and not enough flour. Despite the troubles (the waffles had the penchant to glue to my waffle maker), it was truly tasty. The second try was pancake; we used less spent grains and more flour. Yummy! A few more testing and I will be able to post the recipes for both waffles and pancakes using dry or wet spent grains in my blog. While spent grains don’t offer a ton of nutritional value, save for adding fiber, it does impart a subtle nutty complexity, brings colors and gives great hearty texture to bread. When I have tasted my bread, it was an explosion of savors in my mouth. The perfect alchemy! It reminded me some of the rustic French breads that I eat when I am in France. I was in paradise when I put some butter and a layer of grinded dark chocolate on the top. My favorite snack when I was a child! 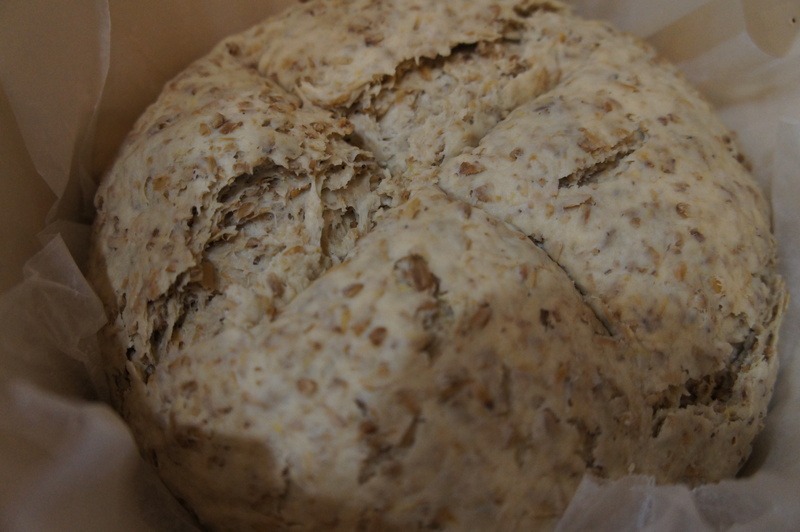 To be honest, spent grains make a difference when making bread. I have spent the past three months experimenting different bread recipes, two loaves every week and I have never reached this level of complexity and savors when I have used a combination of different flours. This is a real must when doing bread, and it is cheap and abundant. However, this is not the only secret weapon to obtain a tasty loaf; you need to focus on two more things: the starter and finally, which may be the more important, the baking process. I was not satisfied with my bread until I try an old technique to obtain the right combination: a crisp crust, a nice volume and a close-grained, chewy texture. To reach my souvenir of a tasty French loaf! The secret is the use of a French oven (like Le Creuset) to cook your bread. 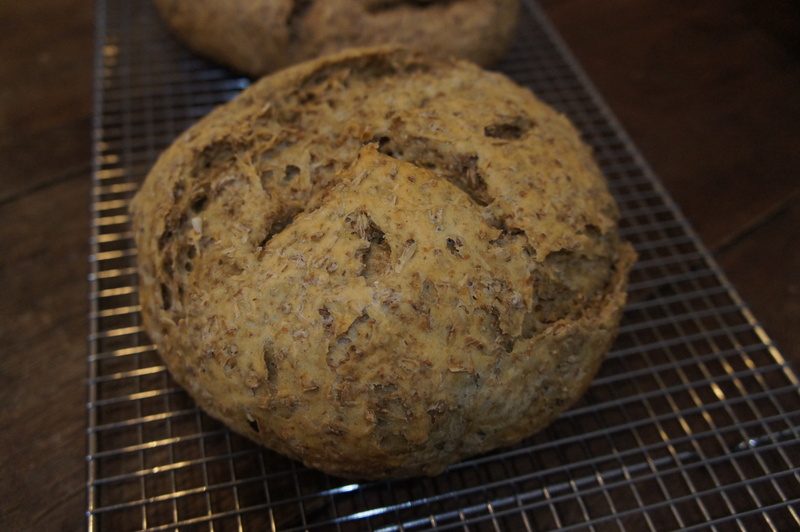 Adapted from Le Creuset French Oven Bread recipe and David Lebovitz Multigrain Bread Recipe. Combine together the cold water, the honey and the yeast in a bowl. Stir in the bread flour, cover the bowl with a tea towel (or plastic wrap), and let sit at room temperature for 24 hours. The next day, it is time to make the dough. In the bowl of your stand mixer fitted with the flat beater, combine the warm water to your starter. 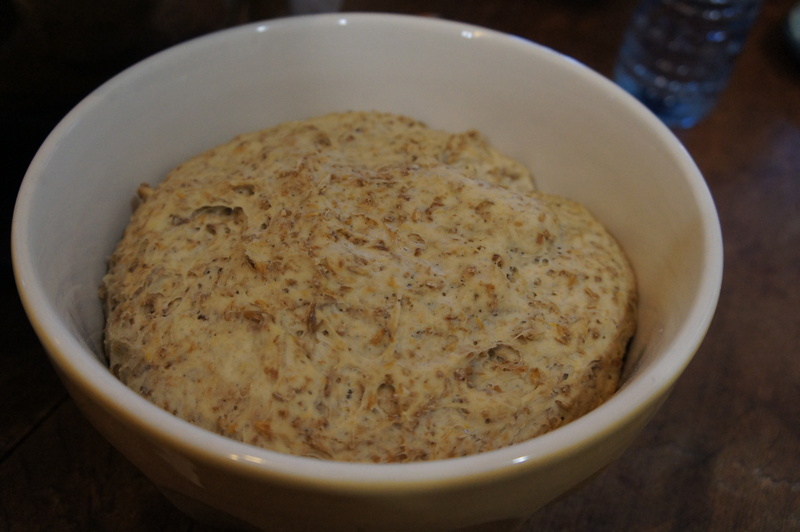 Stir in the yeast, sugar, salt, bread flour and spent grains. When all the ingredients are combined, remove the flat beater and attach the dough hook. Mix on medium speed until the dough is smooth and elastic, 5 to 10 minutes. Depending on the size of the bowl, you may need to stop the mixer and remove the dough from the dough hook if the dough is not developing thoroughly. Add some water (like a tablespoon) if dough is to dry, or some flour (like a tablespoon) if too wet and mix for 1 to two minutes. 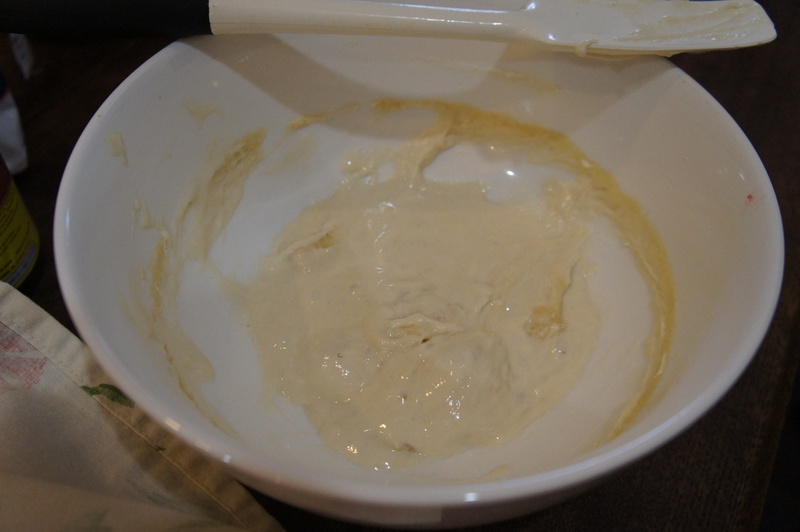 When ready, the dough should be slightly sticky, but come away from the sides of the bowl. Remove the dough hook from the mixer and cover the bowl with a tea towel or plastic wrap. 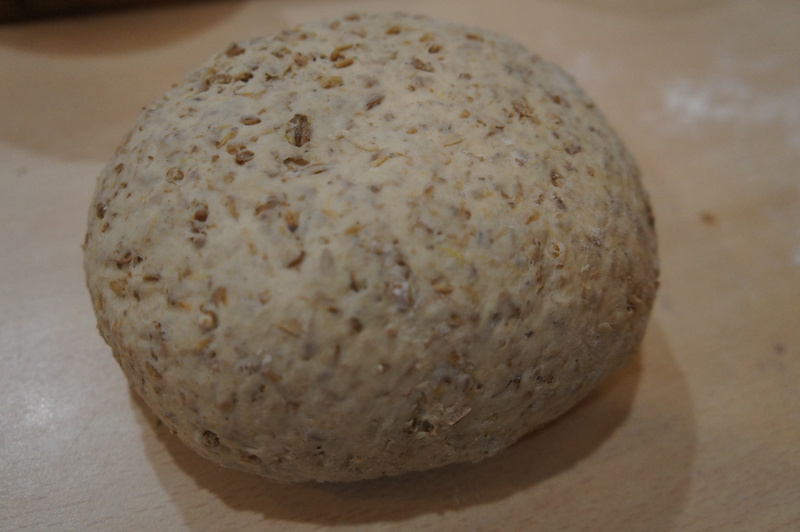 Allow the dough to rise until it has doubled in size and does not spring back when you push your finger into it, 2 to 4 hours. 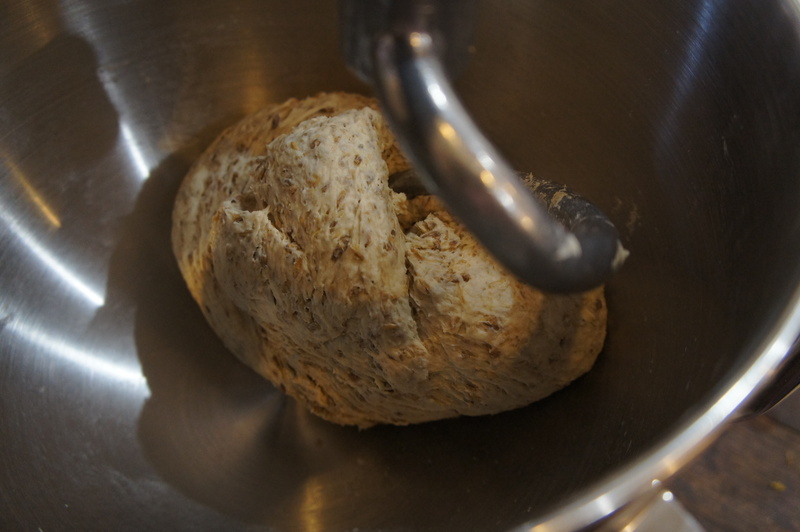 Scrape the dough out onto a lightly floured surface and knead it to release the gas and redistribute the yeast. 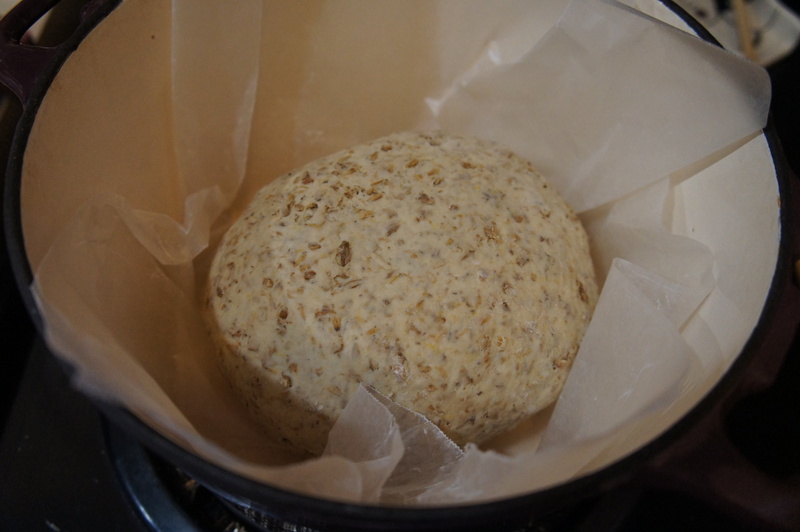 Shape it roughly into a ball, cover it with a towel, and let stand for 10 minutes to allow the gluten to relax. Shape the dough into a tight ball (or two, depending of the size of your French oven) – the tighter the better – by rolling it on the work surface between your palms. Cover the bottom of a large French oven with some parchment paper. I also remove the knob of my French oven because I am not sure if it is oven-safe at 450°F (230°C). Put the dough in the center of the pot and place the lid on. Allow the dough to rise again, 30 to 60 minutes (less if it’s very hot and humid, more if it’s cold). Using a sharp scissors, snip a relatively deep X incision across the top of the bread; this will allow the dough to expand freely. Cover the pot and place it in the oven. 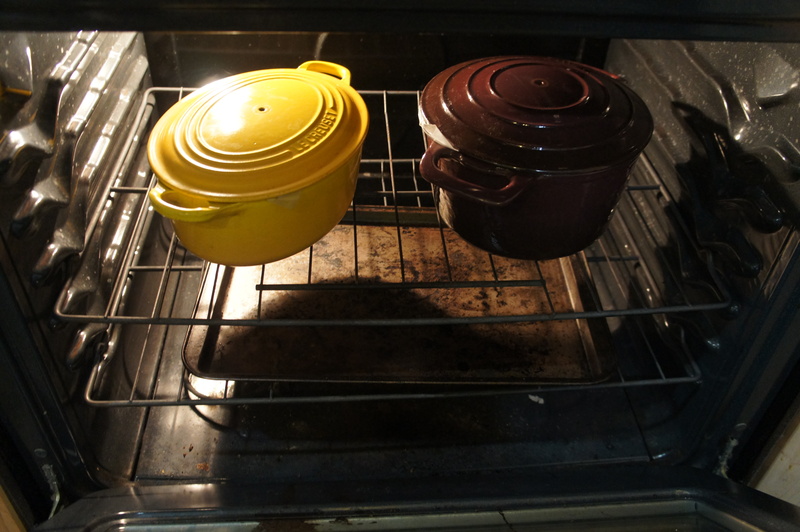 After 30 minutes, remove the lid, reduce the oven temperature to 375°F (190°C), and continue baking until the bread is nicely browned and cooked through. It can take an extra 20 minutes for this specific bread. When done, it should have an internal temperature of 200°F (93°C). 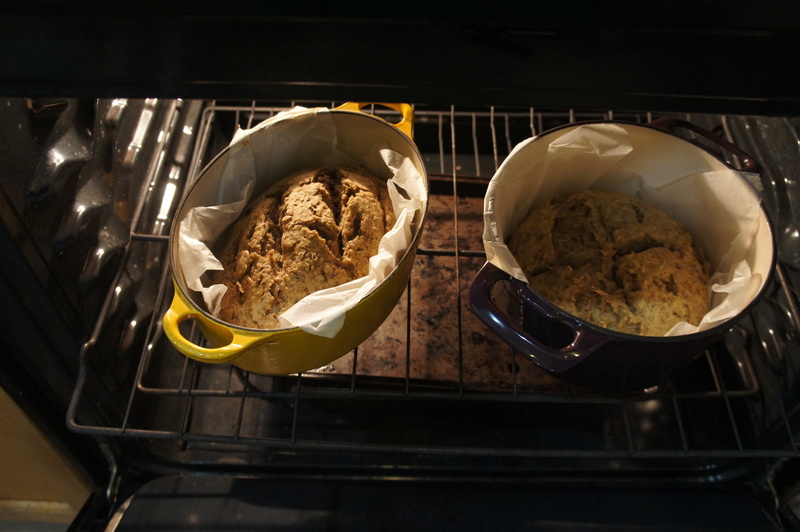 Remove the bread from the French oven (it is really easy because of the parchment paper on the bottom) and allow it to rest on a rack for at least 30 minutes so that the interior finishes cooking. Then, if you are friend with a brewmaster, or even if you live two doors down from a small craft brewery, you can ask them to give (or sell) you some spent grains. You won’t regret.